The Administration of the President of Ukraine has confirmed reports that U.S. company Chevron plans to unilaterally abandon a project to produce shale gas at the Olesko field in western Ukraine. “Chevron has unilaterally decided to drop the project to produce shell gas in the Olesko gas field,” Deputy Head of the Presidential Administration Valeriy Chaliy told an UNIAN correspondent at a briefing on Monday. "Today, many projects that were previously agreed on are in a very difficult situation,” Chaliy said. “Also in Donbass there are problems that are very difficult to overcome in a short period of time. We will take measures to maintain the investment projects as much as possible, and projects in infrastructure and energy sector," Chaily said, when asked by reporters to confirm the reports that Chevron has decided to unilaterally leave the project on shale gas development. "There are signals about their plans to make such decision. But we have not received a corresponding letter," Chaliy said. 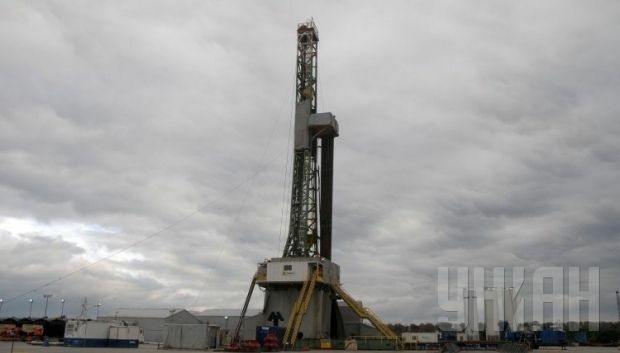 As UNIAN reported earlier, on November 18, the head of the board of the state company Nadra Ukrainy said that Ukraine has fulfilled all the conditions for signing an operating agreement for shale gas production with the U.S. company Chevron, which is developing the Olesko field (Lviv and Ivano-Frankivsk regions) and Kyiv expected to receive confirmation of the fulfillment of these conditions from the company in mid-December.